On April 5th, 2019, Netflix released “Our Planet,” a British nature documentary series. Narrated by David Attenborough each episode entails a look into the lives of various wild animals as they struggle through the effects of climate change. Episode two, “Frozen Worlds,” featured a look into the lives of walruses on the far northeastern coast of Russia. This is the largest gathering of walrus on the planet as more than 100,000 have been forced to haul out on a single beach out of desperation. They naturally situate on sea ice but the ice has retreated further and further to the north. This Russian coast is now the closest thing they have to food supply and a resting place. Every square inch is occupied as the walruses have to climb over each other to get across the crowd, which leads to many being crushed to death. 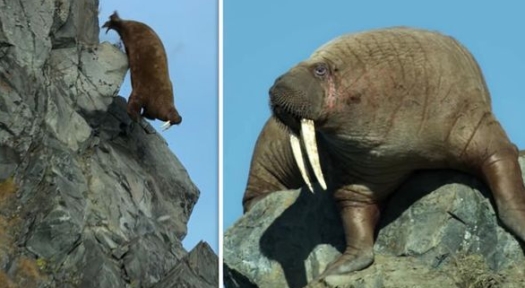 The footage of the walruses falling to their deaths has left many viewers distraught and caused much controversy. Netflix has defended the scene as an illustration of the impacts of climate change.